Facebook has been getting a pretty tough time of late in the media and the courtroom. Fake news, scandals and security breaches meant its reputation took a battering. In January 2018, Facebook's algorithm changed drastically to prioritise posts that create meaningful conversations and interactions, especially between friends and family. Great news for Joe Public, but not so great for businesses looking to gain new customers via Facebook marketing. The new algorithm makes it much harder for business pages to get seen unless you have a very engaged audience who frequently like, comment and share your social posts. But all is not lost. Buffer Social and BuzzSumo have teamed up to analyse over 43 million posts from the top 20,000 brands on Facebook in one of the largest studies of its kind in 2018. Their research shows it is possible to still get heard on Facebook. Here is a roundup of their findings, and some useful tips for rebuilding your Facebook marketing strategy without blowing your budget on paid social. How often to post on Facebook has been debated time and time again, and several studies have sought to answer that exact question, all with varying data. Previous research conducted by CoSchedule found that posting once a day between 1 pm - 4 pm got the most engagement, shares and traffic. However, the research shows that in Q2 2018, the top 20,000 Facebook pages published on average 135 posts per month. That’s just over four per day. 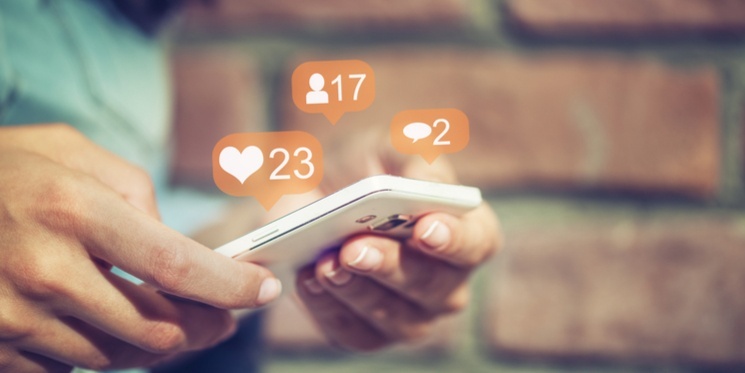 An increase in frequency it seems is helping businesses to overcome the changes in the Facebook algorithm that prioritise meaningful social interactions. You have a one in four chance of creating a post that will spark interest, generate conversations and get you heard above the noise. Buffer and BuzzSumo’s research shows that engagement (shares, likes, reactions, and comments) has dropped by more than 50% over the last 18 months. It’s not enough to just post to Facebook. You have to engage your audience more than ever before. Choose content that sparks debate and conversation. Ask a question. Get people talking. Tell a story. The quality of your social posts has to increase at the same rate as the frequency. Shift your Facebook marketing strategy to focus on tactics such as viral videos and images, and stop doing things that don’t work such as just posting links to your website. Seven years on and these reasons are still valid. Look back through your own business Facebook page feed. Ask yourself, would I interact with this content? Think about the kind of posts that gain the most traction on your own Facebook feed. More often than not they are very simple messages that evoke emotion. Some of the most viral content on Facebook is related to food, animals, fashion, humour and beauty, so if you can, try and incorporate these themes into your posts. Use your Facebook to show your B2B company culture: give followers a behind-the-scenes tour, show them a side of your brand that they may not know, such as your eco-friendliness or a well-being programme, for example. It never fails to amaze me how many businesses still do not optimise their websites for mobile. Doesn't your heart sink when you click through on a site on your mobile and it is completely unreadable? In today's world of instant gratification, we simply do not have the patience to get out our laptops just to view your site. Who knows how much business that's costing! More than 95% of Facebook users access the social network from their mobile device. If you are sharing video to Facebook, make sure it is in a vertical format. If you are adding a link to your own website, make sure it is optimised for mobile. If your content is not visually stunning regardless of what device the user is viewing it on, then you have no chance of getting any engagement on Facebook. You need to keep track of how your post performs, and compare over time. Set benchmarks for likes, shares, new followers etc. so you can judge your performance over time. Do posts in the morning get more engagement than in the afternoon? What kind of content gets the most shares? How many new followers have you had? Is it the same people engaging each time? This can then inform your future strategy, combining the right time to post and the right content to post. There are a plethora of free social media analytics tools available to help with this analysis, or you can use Facebook Insights to get the basics. These are a few tips on how to overcome the challenge of getting heard on Facebook. Now is the time to revisit your Facebook strategy and work on developing meaningful, engaging content for your community.